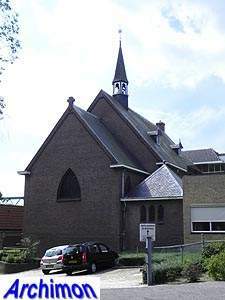 Clemens Antonius Hardeman was born in Kralingen (Rotterdam) on November the 28th 1893 as the son of a catholic carpenter and contractor who worked as an overseer for architect H. Kroes. Later had an office of his own in Oldenzaal. Before that he may have had an office in Zwolle. 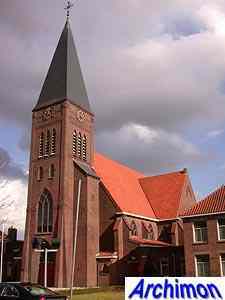 He mostly worked in the eastern parts of the country that belonged to the Utrecht archdiocese. C.A. Hardeveld died in Oldenzaal on October the 23rd of 1961. His son C.J.W. Hardeman (1923-1974) also became an architect. The following list of his works is probably incomplete and may include some works by Hardeman's son. Neo-Gothic cruciform basilica with tower. 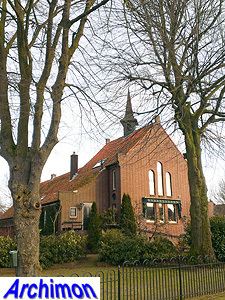 House-like building with a chapel on the first floor. Now a retirement home. House-like building with steeple on top and a chapel in simple Neo-Gothic style at the back. Now a retirement home. 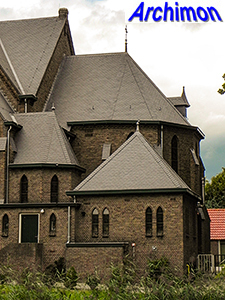 New choir and chapels in modern Neo-Gothic style added to an older church. Three-aisled pseudo-basilica in Neo-Gothic style. Tower of predecessor (A. Tepe, 1898) incorporated. 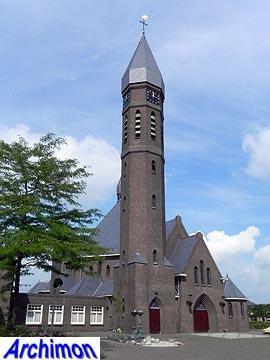 Centralizing cruciform church in Neo-Gothic/Traditionalist style, with slim, tapered tower. Enlargement in Expressionist style of a Neo-Classical church. 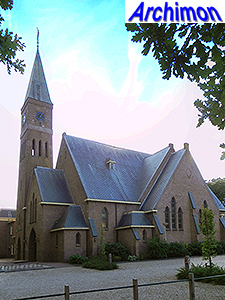 Addition of side-aisles to church by H. Kroes (1911-1912). Centralizing cruciform church with octagonal main space, crowned with a tall dome. Slim and tall tower at the front. 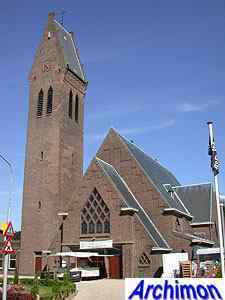 Addition of a tower and side-aisles to an older church (E. Joosten, 1910), as well as enlargement of the choir. Three-aisled basilica in Expressionist style, with tall tower with saddle-roof. Wide one-aisled church in Traditionalist style with tower. Hardeman's first design earlier that year had been for a simple temporary church. Nave of Neo-Gothic church (P.J.H. Cuypers, 1870-1871) replaced by new, wider one. Chapel in Traditionalist style for a hospital. One-aisled church in Neo-Gothic style. Cruciform church in Traditionalist style. Three-aisled pseudo-basilica in Traditionalist style. Taller straight choir. Designed in conjunction with local architect A. Brouwer. Towerless one-aisled church in Traditionalist style. Rebuilt into a house. Towerless three-aisled pseudo-basilica in Traditionalist style. Designed in conjunction with G.M. 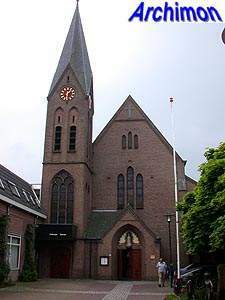 Leeuwenberg.